Our guests have not stopped talking about how great your group is and it made my birthday a great success. Thank you Neil. You guys were awesome and the club loved you. I have been getting nothing but positive reviews since the event. I feel certain that we will be seeing you again at JL in the near future. I have shared our experience with everyone that will listen LOL! Thank you again for a fantastic evening! I got nothing but compliments about you guys! You make my parties great! Thank you! It was a pleasure having you last night! The music was great and the Board of Directors was very satisfied. I know it was not too active this year but overall the mood was perfect. We will definitely be in touch with you next year! "The band was GREAT . . . . I saw more dancing than at any other of our events. If we do a gala again next year, we will absolutely be in touch!" "Neil, the dance floor and rug was packed with dancers and every one of the 450 who attended . . . . are still talking about how good of time they had and what a band!!!!! . . . . a great job- Well Done!!!!!! !- Phenomenal!!!!!!!. . . . "
"You were OUTSTANDING!! My friends can't stop talking about the fabulous music." "I loved having you! 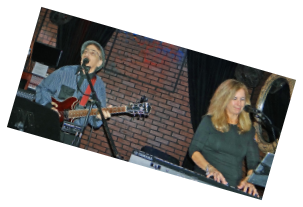 What a great band- you made the party quite an experience for all of us!" "Thank you for your part in making our party a wonderful success! So many people commented on how great the music was, just the kind they love to dance to!! And they were right! ….. Looking forward to many dancing days to Horizon's music!" Hi Neil!!!! Thank you thank you thank you!!!! Best band ever!!!!! You made the wedding reception. We were so thrilled to have had you and will keep you in mind if we need you in the future! Thank YOU Neil! We had a fabulous time, in large part because of you and your band members. Your music choices were superb! Great evening!! Hope we can do it again sometime! Just wanted to let you know that the music last night was fantastic... the band was exceptional! Everyone had a wonderful time and we received tons of comments about how great the music was. "You guys were phenomenal!!!! The music was so amazing — better than anything we could have ever imagined! Thank you so much for making our night so special and for getting everyone off their seats and on the dance floor! "I cannot thank you and the rest of your band enough... You are the reason our wedding was such a success! Tom & I had the time of our life - an incredible night, one that will never be forgotten. We hope that we will have the opportunity to work with you in the future . . . . . . Just incredible! Thank you again!" "Your professionalism and organization prior to the wedding were superb. 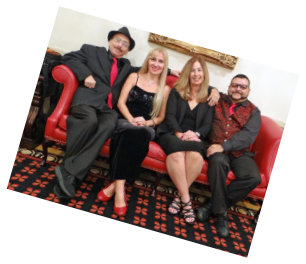 We received several comments about what an incredible band we selected." "I just want to say "thank you" for being a key ingredient in making our daughter's wedding a "perfect" occasion. Horizons was wonderful! In all my photographs from the cameras on the tables you see empty chairs because everyone was up and dancing and having a great time!! Guest after guest has complimented us saying that it "was the best wedding they had ever attended." We are the ones to thank you for such incredible music and talent! our wedding was a success because of you, and we appreciate your time, patience and your attitude in completing the most important day of our lives! You have no idea how many people have called wanting your number and the bands name- we will definitely use you again! "Please know that I owe you a great deal of the credit for what turned out to be a successful storybook wedding. The music you chose was great and your singers were outstanding. You knew exactly when to pump up the crowd and get them moving when there was a lull. " "It's Monday morning and I'm still glowing from a wonderful wedding that we had on Saturday and I thank you for your huge part in it. You're the best band that I've ever heard in my life! " "It's Thank you for doing a fantastic job at Laura & Jeff's wedding. It was a pleasure working with you and your great band! Happy Holidays and I look forward to future events together "
"We enjoyed the music and your company. Thank you so much, you played a big, important role in our wedding." "I've been doing this for a long time, and this is the best band I've ever worked with." "You guys were amazing. So many people have complimented you and your band. They were impressed with the variety as well as how good you were in each genre of music! You truly made this a memorable night for us! "...There were over 100 people attending, and I heard from almost every one of them about how fantastic they thought you were. You selection of music was right on, you kept most everyone out of their chairs and on the dance floor. . . . . . . If my other daughter decides to marry in South Florida, you will be the first call I make! Thank you again." "Thank you and thanks again for a job well done, we especially loved that you learned the extra songs on such short notice, the grooms mom was very happy!! " Just wanted to let you know that we fell in love with the trio and dancers – amazing energy, incredible talent and mostly extremely charismatic – definitely will work with you again! All I can say Neil is BRAVO! My boss and guests absolutely loved, loved, loved you and your group. In fact, so much so, that this conference is being held in Miami, and my boss wants me to book your group again! . . . . . I wanted to tell you that PRA will continue to use you every time we have events/conferences in the Florida area. I can’t thank you enough for helping to make our event so successful. Please accept our most sincere thank you and appreciation for the music you provided us this past Saturday aboard the Kathleen Windridge yacht. The afternoon was a great success and we thank you again for providing your expertise. Neil was a pleasure to work with for my meetings in Florida. Very accommodating above and beyond what I would expect. . . always responded very quickly to my questions. We hired a solo guitarist for 2 nights, a duo band for 1 night, an MC for a teambuilding event, and a DJ/Karaoke for 1 night. All of the entertainment provided was excellent and our meeting attendees really enjoyed it. Would definitely contact Neil if I am back in the area for meeting. Thank you so much for the wonderful music at the dinner. It truly was one of the highlights of the conference and we had many compliments on it. Please pass along our compliments and thanks to the rest of your band. We will definitely contact you again if we hold additional meetings in the area. Thanks again! Vicki Sarajedini, University of Florida Astronomy Dept. "We loved your band! I'm working to firm up a date for next year, we'll book you right away once it's decided." "You and your fellow musicians were wonderful to work with. Thanks for the music and the professional work." "Thanks for a great party. Your music was fantastic. You really got the place hopping. I truly appreciate your professionalism and good humor." "The crowd loved you again this year! " "...everyone was very, very happy with your performance. They are a tough bunch to please so congratulations... ...I will certainly recommend your band to associates of mine for their projects should the opportunity present itself.